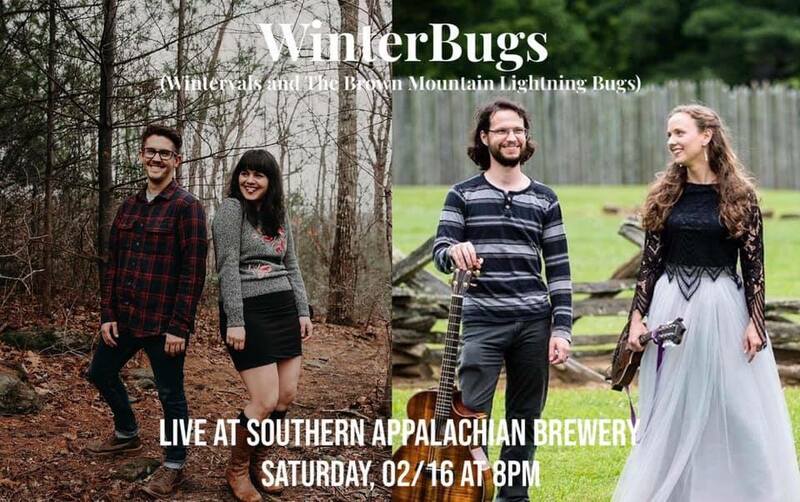 Wintervals and The Brown Mountain Lightning Bugs are teaming up for a very special night at Southern App! Music starts at 8. Hailing from Western North Carolina, Wintervals carefully crafts swaths of sweet harmonies and intricate instrumentation to create their own blend of Folk, Indie and Americana music. With two full-length albums under their belt, and a third on the way, the duo has performed all over the east coast and even as far as Canada. Check out a list of their upcoming final shows, info and music via Bandsintown, Spotify, Instagram and Bandcamp.